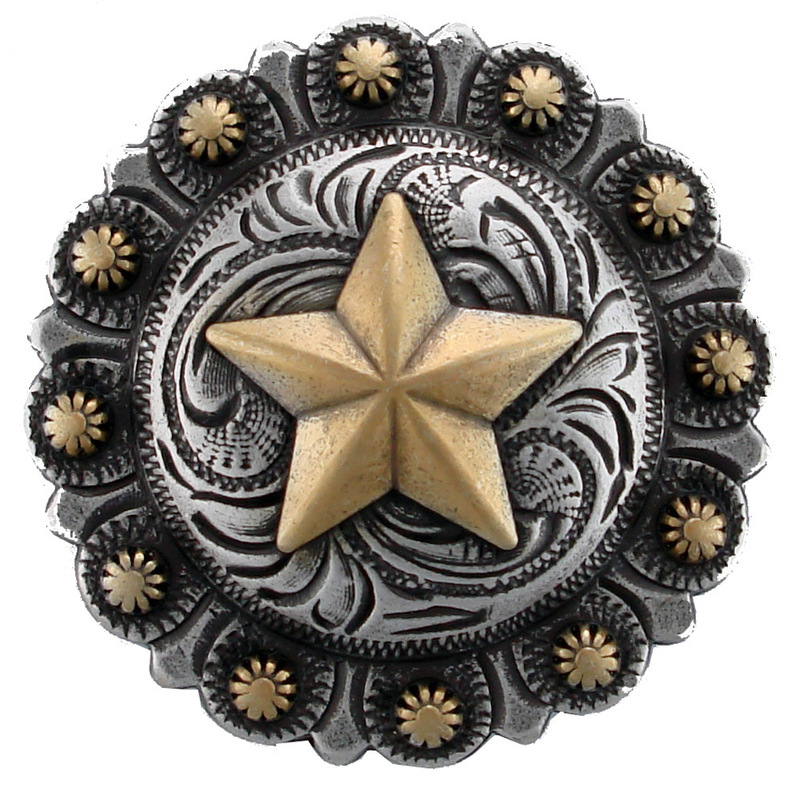 BS9264-4 Berry With Star Concho 1 3/4" SRTP-GP ANTIQUE SILVER With Antique Gold Star and Berries. Cast in Zinc Metal from Hand Engraved Masters. Included Chicago Screw Length: 0.167 inches or 4.2mm No sales tax unless shipped to California.